Technician that came out was extremely knowledgeable and very polite. He was able to determine the problem with my ice maker and fix it in a timely matter so I could get on with my day. On time and took care of the problem quickly. Friendly and nice to talk to. I was impressed. They obviously like helping people. Thanks Ramon! Very satisfied with Preston. He knew exactly what needed to be done. He was fast to install the part. Showed up on time and got the job completed quickly. Very knowledgeable and polite. He was Very Profesional and did an awesome job. I would recommend him to my friends. 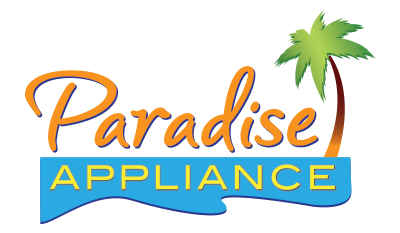 So happy with Paradise Appliance! My practically new dishwasher wasn’t washing at all. Preston was able to figure out the issue and after ordering the parts and coming back couple days later, the dishwasher is working great! He was very polite and friendly. Thank you for being so professional and fixing the problem. WASHER MAYTAG MVWX700XL2 "found f-7 e-1 basket speed error & loud noise in spin cycle, bad gearcase, actuator & run capacitor. needs parts replaced. auth#MJTZH00SL2; ordrng 1 W11035747 (gearcase) and 1 WPW10006355 (actuator) and 1 W10528947 (drive hub kit) and 1 W11158831 (capacitor)"
WASHER MAYTAG n/a "found f-7 e-7 error motor not reaching target speed, made adjustment to belt for motor & pulley, ran test in diagnostics, recalibrated working ok now"
WASHER MAYTAG MVWX655DW1 "ran test in diagnostics, recalibrated washer was unable to verify complaint of not draining. made minor adjustment to door latch so door will close easy. working ok."
DRYER MAYTAG MGDX655DW2 "found exuast vent going up to roof blocked causing poor air flow, advised cust needs air duct cleared for dryer to dry clothes. dryer working ok."
DRYER MAYTAG MGDX655DW2 checked operation of wrinkle control. and advised on setting . unit is working correctly. REFRIGERATOR MAYTAG MFI2570FEZ04 "ice maker was hanging it wasn't in place, that's why it was leaking put it inplace." COMPACTOR KITCHENAID KTTS505ESS "installed top limit directional switch & made adjustment toe lever switch, ran test working ok."
WASHER MAYTAG MHW3505FW1 "found sand like debris inside hot water inlet valve causing hammering sound when filling, turned down water pressure, advised cust need water filter to reduce sand from coming thru lines, woking ok."
DRYER MAYTAG MGD3500FW0 "reinstalled loose door gasket allowing heat to escape thru front door, ran test working good." WASHER WHIRLPOOL WFW560CHW0 "cust say unit would not turn on, disconnected power & cable to user interface & reconnected, now unit turn on & working. no error codes found." COMPACTOR KITCHENAID KTTS505ESS "replaced broken gear drive, still not working lift does not stop when going up, bad switches on unit , need 2-man tech assist; ordrng 1 WP777811 (switch-dir) and 1 W11243179 (switch) and 1 WP9871971 (switch-off) and 1 9871829 (switch draw tilt blk)"
DRYER MAYTAG n/a "drum not turning replaced bad drum belt, ran test working ok."
COMPACTOR KITCHENAID KTTS505ESS "found broken gear assy not allowing unit to come up, needs part replaced to repair. ; ordrng 1 882699 (gear-drive)"
REFRIGERATOR WHIRLPOOL WRS555SIHB00 fill tube got frozen again per tech support to replce freezer door.-replaced frezer dooor ice maker got water. WASHER MAYTAG MHW3505FW1 "removed debris from hot water fill line to valve causing issue with timed fill & pressure sensing, ran test working & filling ok."
WASHER WHIRLPOOL WGT4027EW1 "reinstalled loose basket balance ring jammed between basket & tub ring causing no spin, ran test working ok. authorization # wj8wv00epl1"
WASHER WHIRLPOOL WTW4816FW2 "unit had no power when pressing power button. replaced main control board and tested unit,unit functions properly." DRYER WHIRLPOOL CGM2795FQ0 "Found object stuck in blower motor. removed object and tested unit,unit functions properly." DISHWASHER KITCHENAID KDTE334GPS0 "replaced drain hoses with holes causing water leak , ran test working ok, no leaks." MICROWAVE OTR WHIRLPOOL WMH32519FZ0 REPLACED THE INTERLOCK AND SWITCHES AND TESTED OPERATION. DISHWASHER KITCHENAID KDTE334GPS0 "found new holes in drain hose loop causing another leak, needs both hoses replaced; ordrng 1 WPW10545278 (hose-drain) and 1 8269144A (drain hose)"
REFRIGERATOR WHIRLPOOL WRT111SFDB03 "wj10200epl1, drin ice up and it causes to clogg the inlet vent to fresh food, defrosted both now drain fine and ff gets cold air." REFRIGERATOR WHIRLPOOL WRF989SDAM00 "water not going thru water valve, and has low water pressure showed to male. ; ordrng 1 WPW10455331 (valve)"
REFRIGERATOR WHIRLPOOL WRF989SDAM00 "water not going thru smart water valve, and has low water pressure showed to male, replaced now dispencer water but very very slow i asked female to fix it." WASHER WHIRLPOOL WTW4816FW2 "found 120v to main cntrl board, unit will not turn on needs main board repolaced. ; ordrng 1 W11170319 (main cntrl)"
DRYER MAYTAG MGDB765FC0 "cust was unaware of holding finger on button to start unit, dryer starting ok."
WASHER MAYTAG MVWB835DW4 "cust says unit shuts down mid cycle, unable to verify, replaced main cntrl board ran test working ok."
DRYER WHIRLPOOL WGD4815EW2 "found poor exuast vent causing long dry times, ran test working ok. advised cust to use professional cleaning service for vent." REFRIGERATOR WHIRLPOOL WRF540CWHZ00 "freezer door open on right side, -fixed now closes fine." REFRIGERATOR WHIRLPOOL WRT541SZDW00 ff door crooked repalced test good. REFRIGERATOR WHIRLPOOL WRF767SDEM01 "fresh food not going into defrost, replaced main board and display."